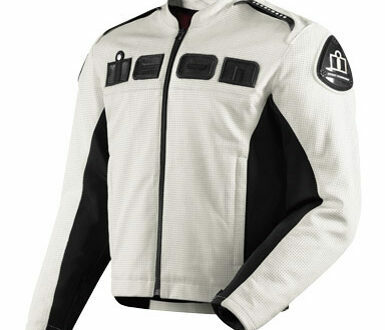 As those of us in the northern hemisphere hunker down and prepare for what looks to be a hell of a winter, our attention turns towards gear that can handle snow/ice/rain and handle sub-zero temperatures. 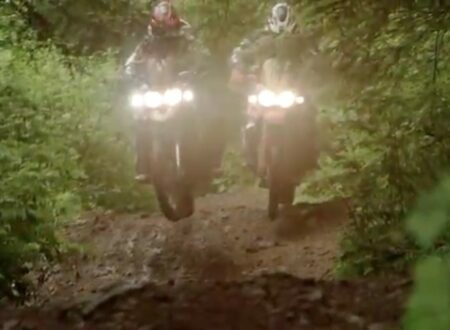 “The Raiden Files – Portland to Dakar” is a 30 minute film featuring some of the most spirited riding you’ll ever see in the saddle of a Triumph Tiger. The film has a blend of urban riding, off road riding and extreme off road riding with a number of fairly wince inducing accidents. Last month we began talking to Icon Motosports and Old School Helmets about a unique new project, we wanted to take steps to solve a dilemma facing safety conscious, vintage motorcycle enthusiasts. Specifically, the fact that it’s currently impossible to buy a retro full face helmet that passes any international helmet certification standard. 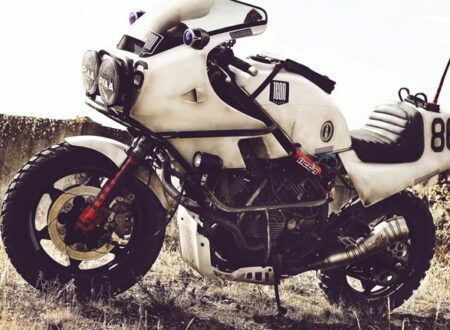 This bike started life as a 1986 Honda VF1000R although it would have been hard to guess given the modifications to the bike. The lower fairings have been removed and the remaining body work has been sanded back and given and eye catching distressed paint job.